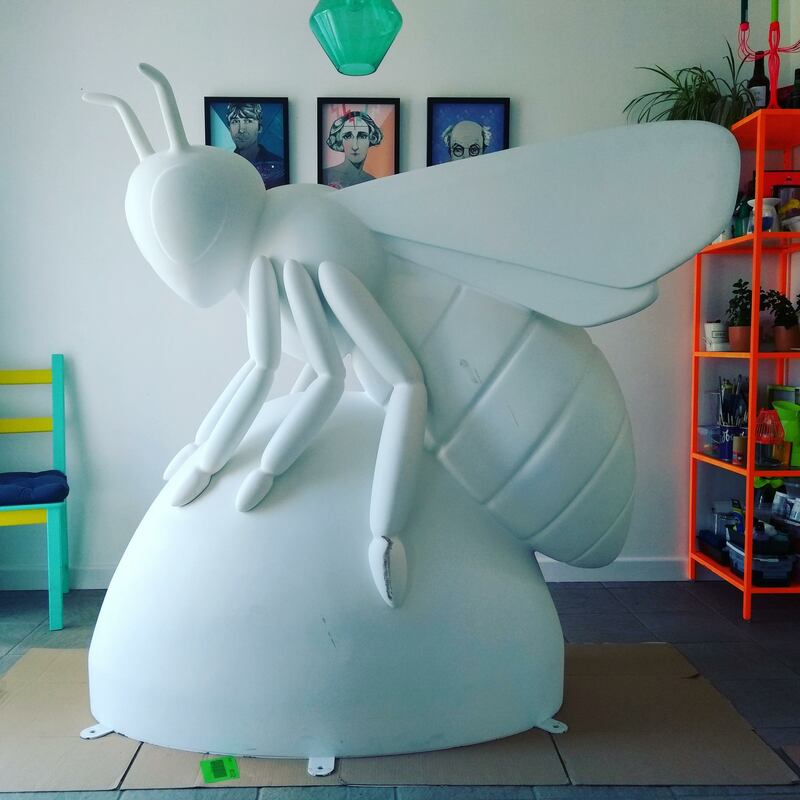 We’re delighted to be supporting Bee in the City, a spectacular public art event taking place from July –September this summer in association with Manchester City Council and Wild in Art. 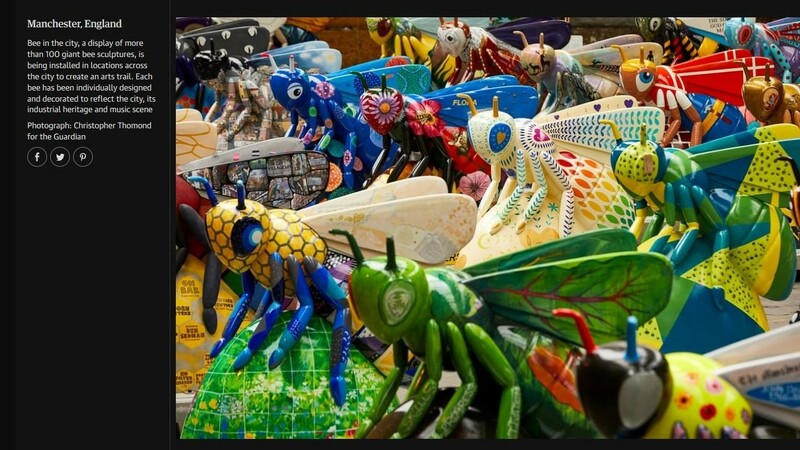 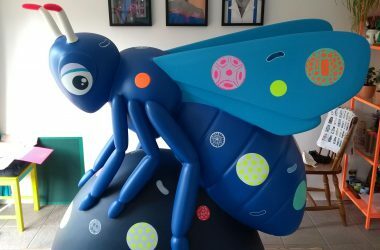 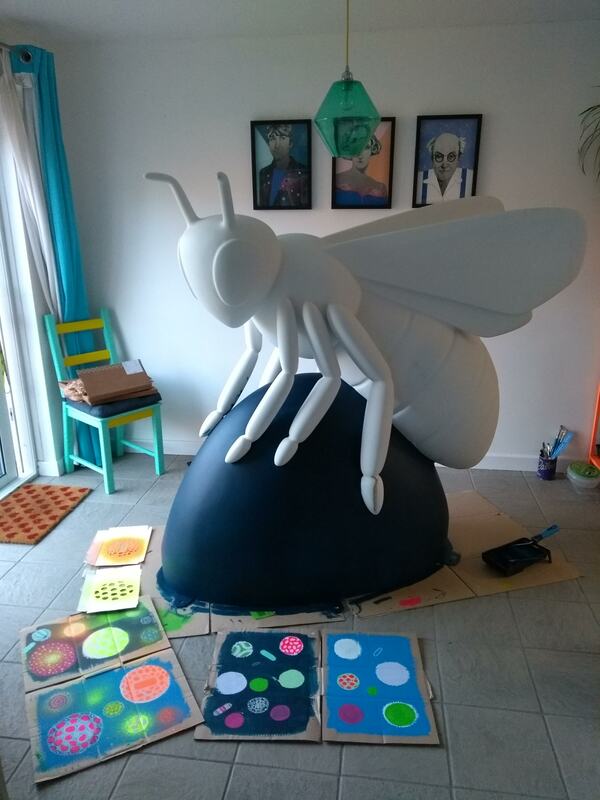 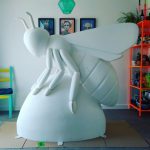 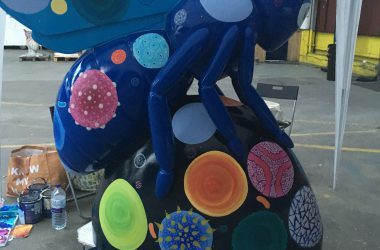 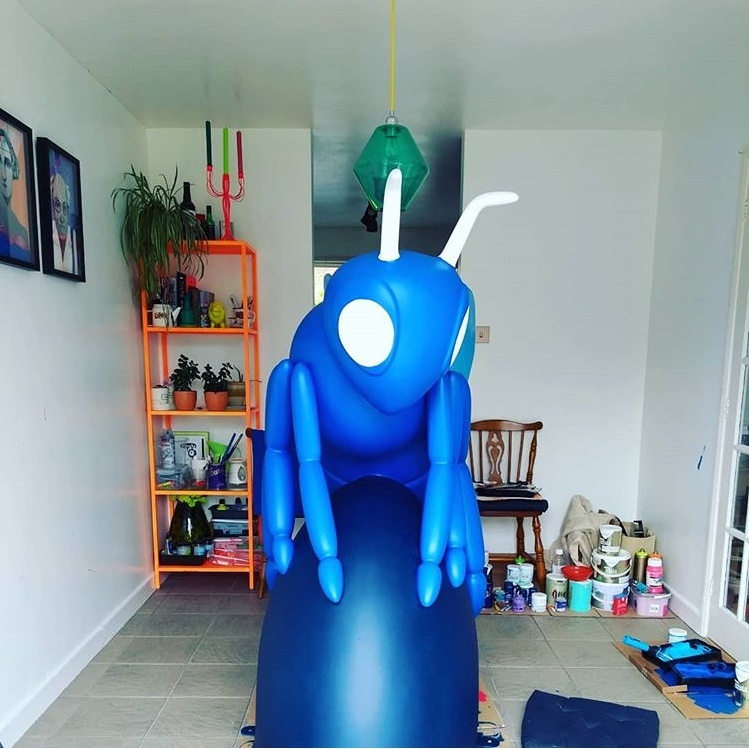 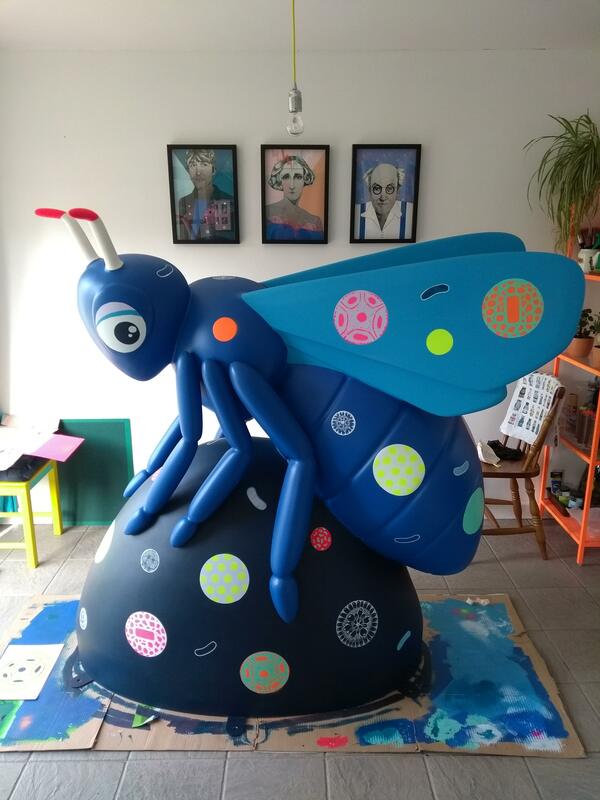 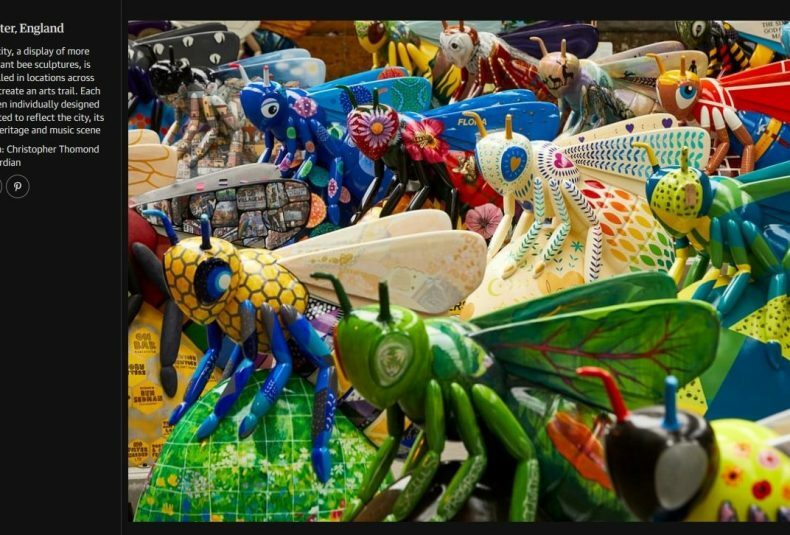 Over eighty individually designed, super-sized bee sculptures are winging their way to Manchester to form a world-class, free art trail across the city’s streets, parks and public spaces. 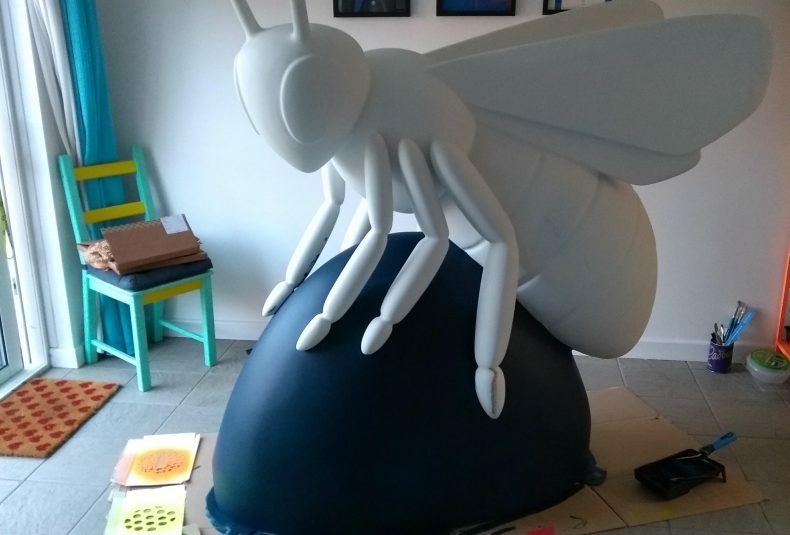 The event’s 3-D Bee sculpture has been inspired by Manchester’s iconic worker bee which has been part of the city’s heraldry for over 150 years and is synonymous with the city’s pioneering and industrious spirit. 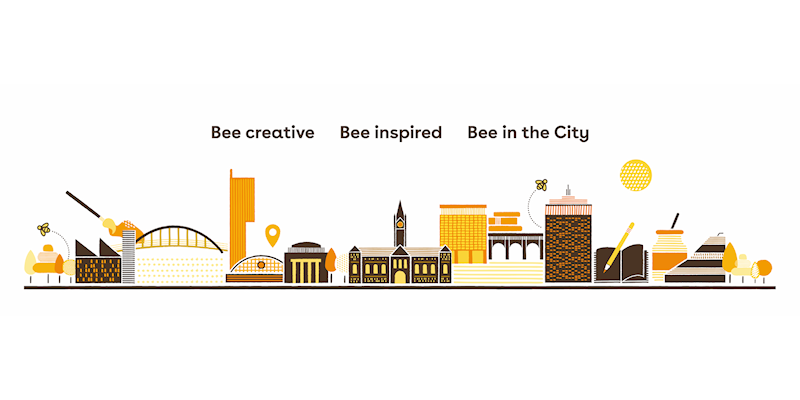 Bee in the City will bring together the business and creative sectors with local schools and communities to celebrate Manchester’s heritage and showcase its diverse cultural offer and artistic talent. 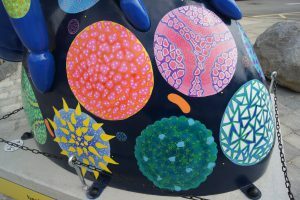 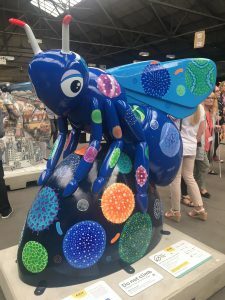 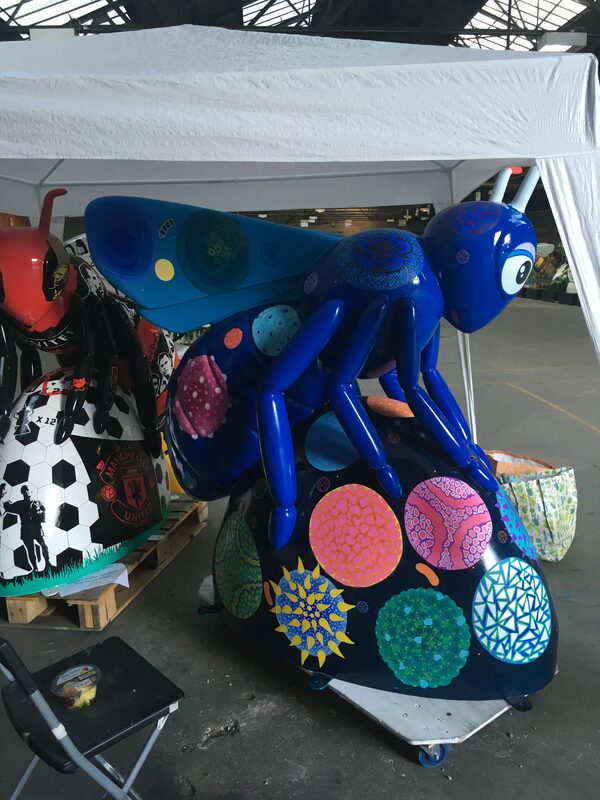 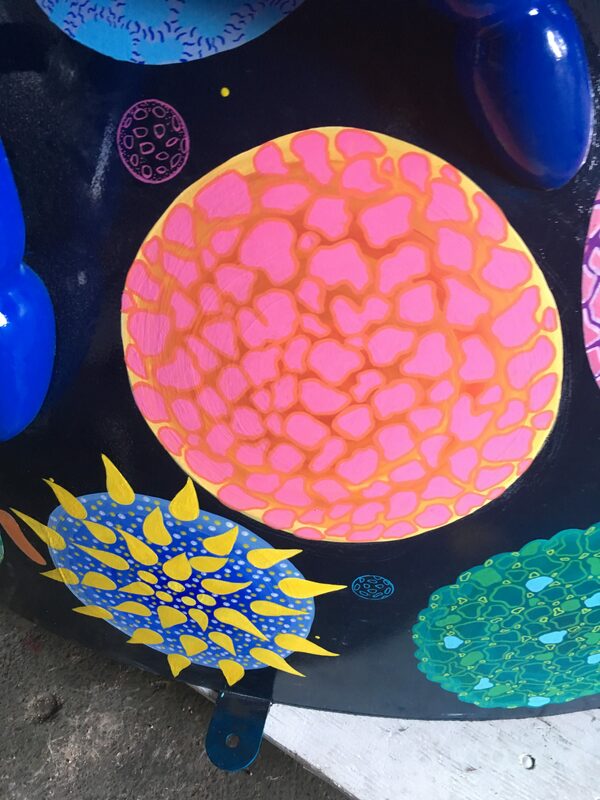 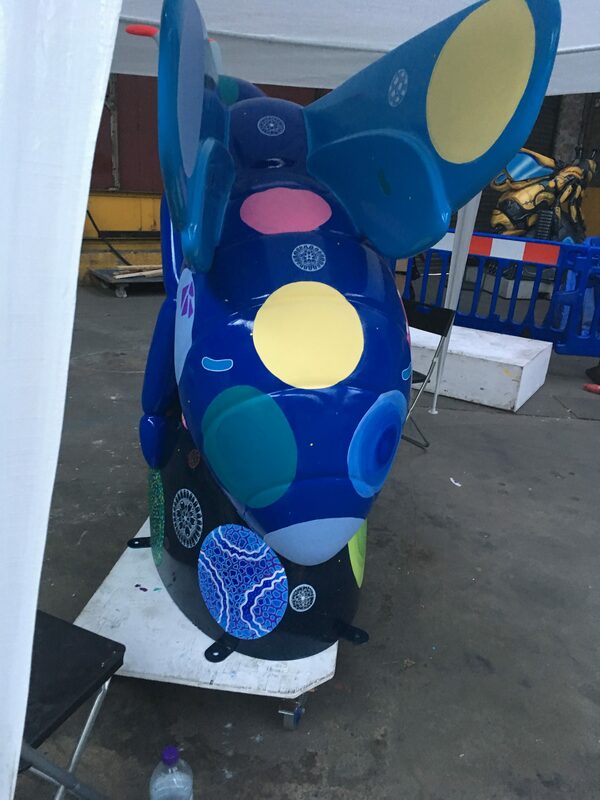 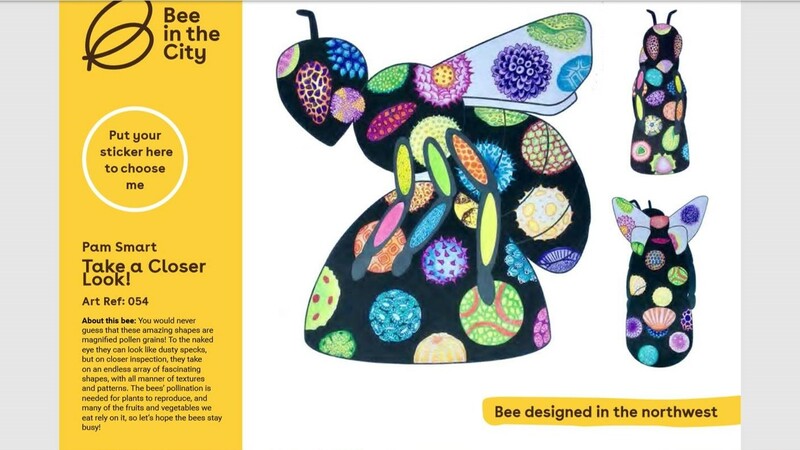 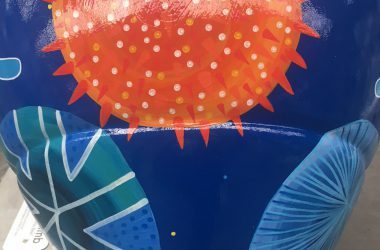 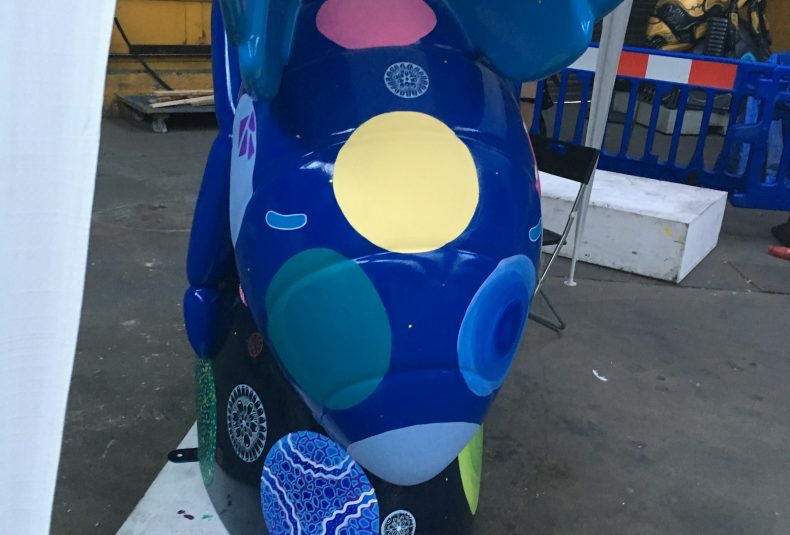 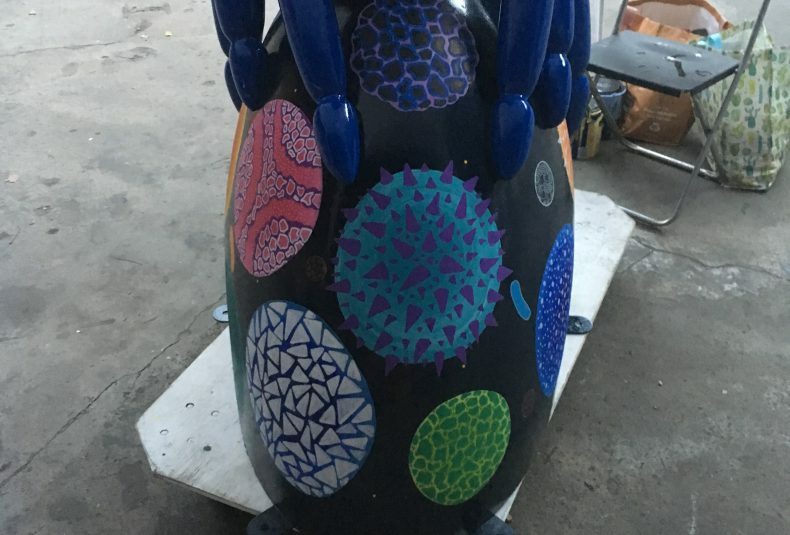 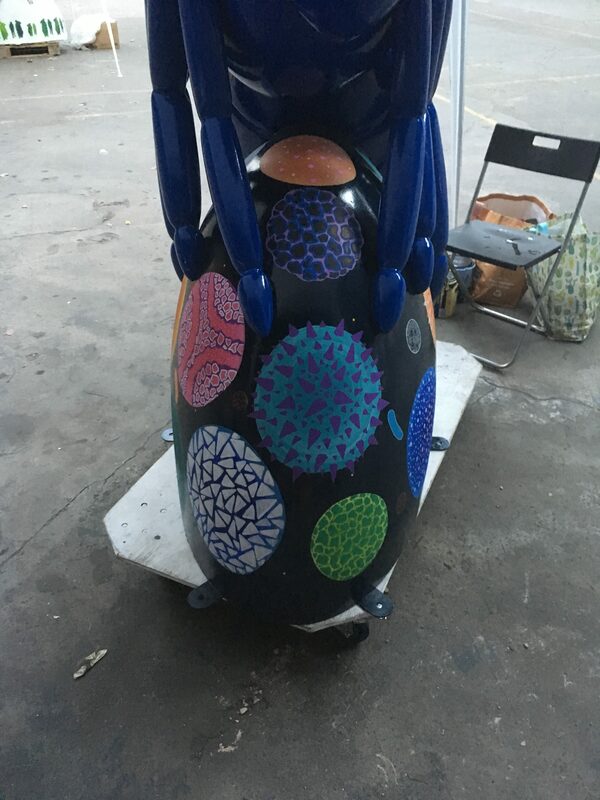 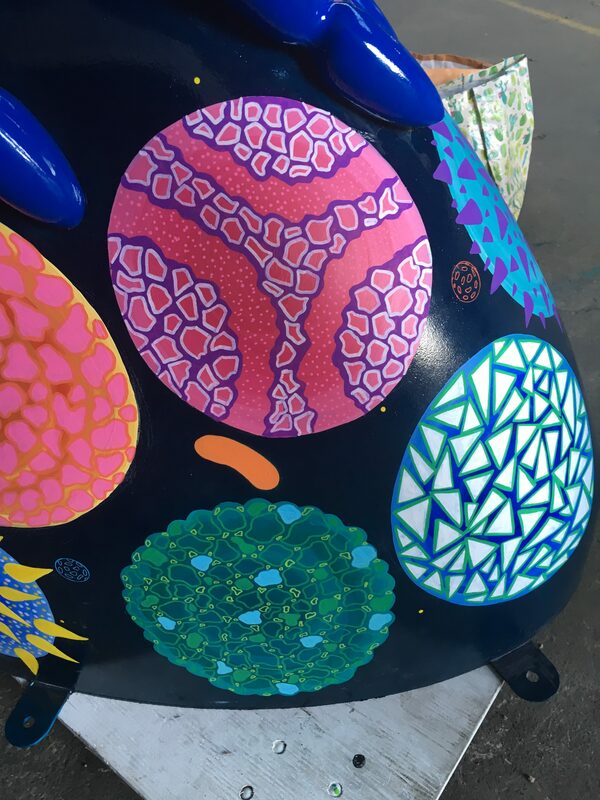 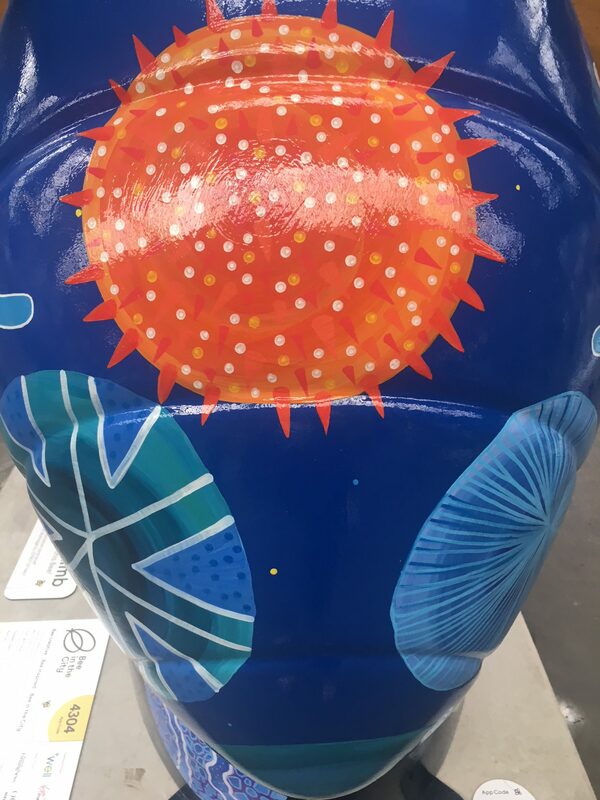 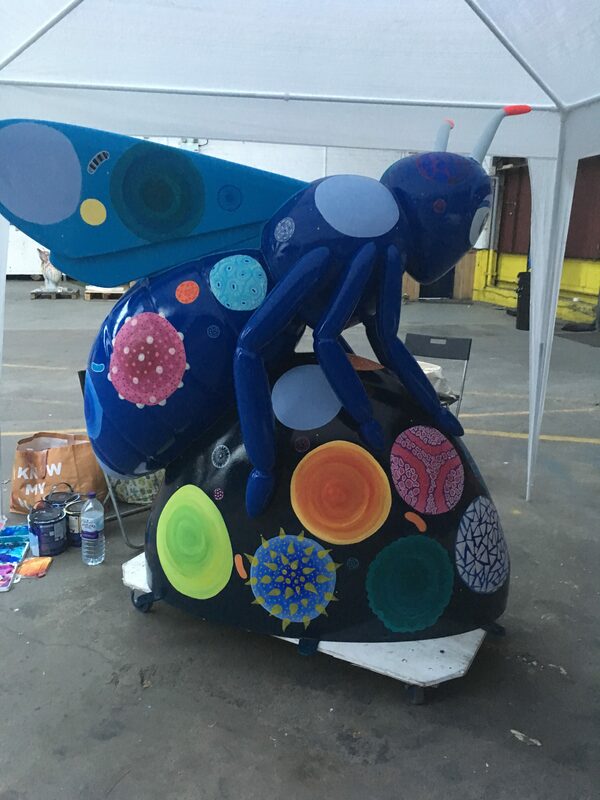 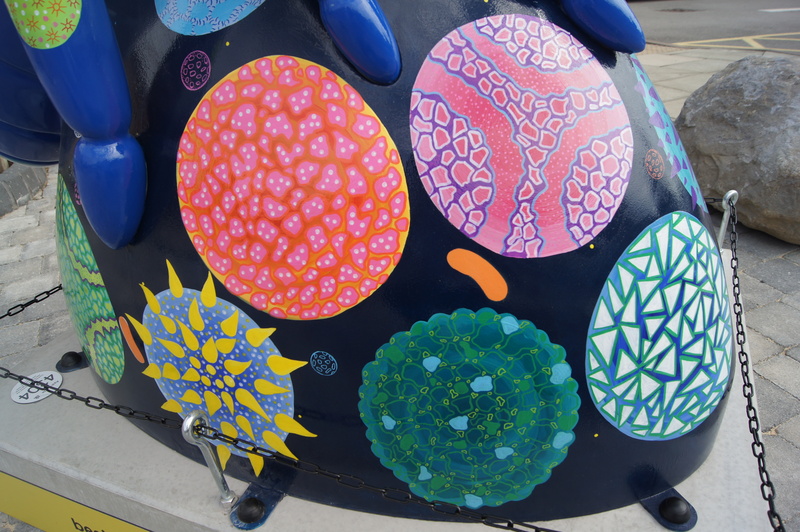 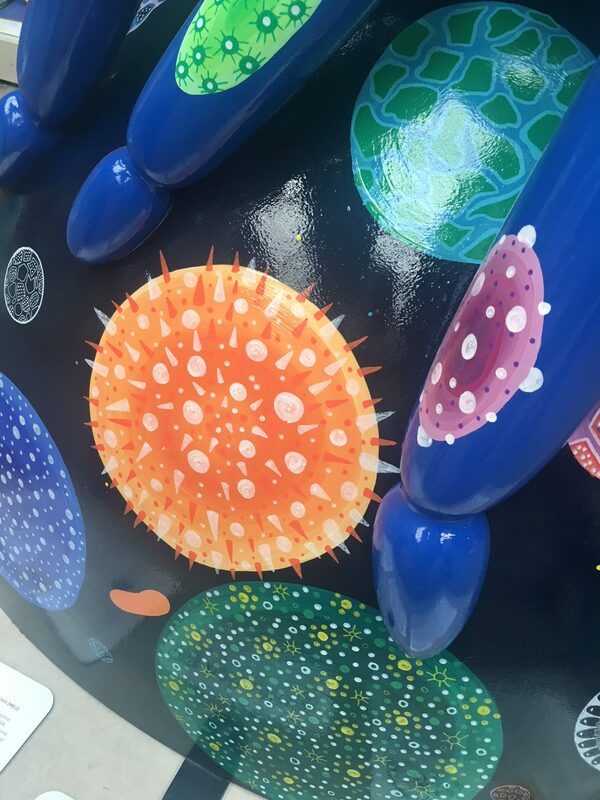 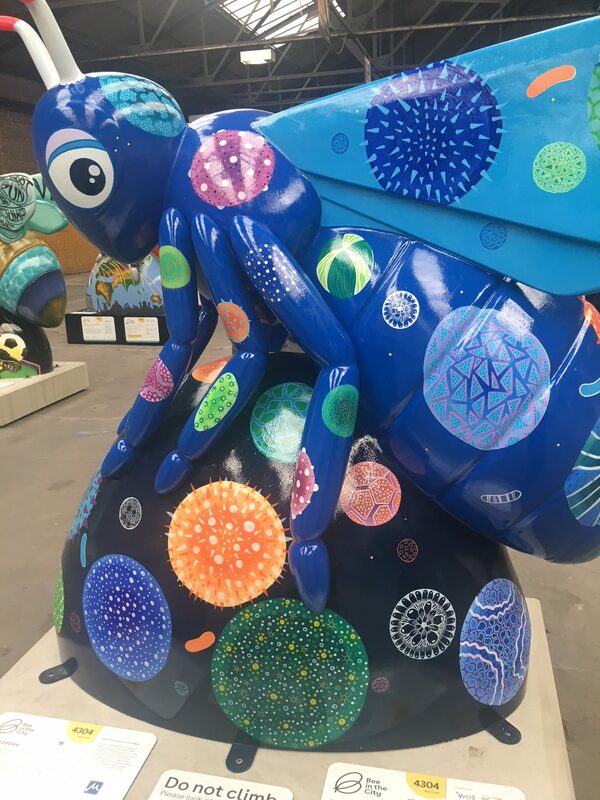 All bees have been designed by regional artists, and we have chosen a design by artist Pam Smart featuring enlarged pollen grains which we thought was a great fit given our links to allergy and respiratory research. 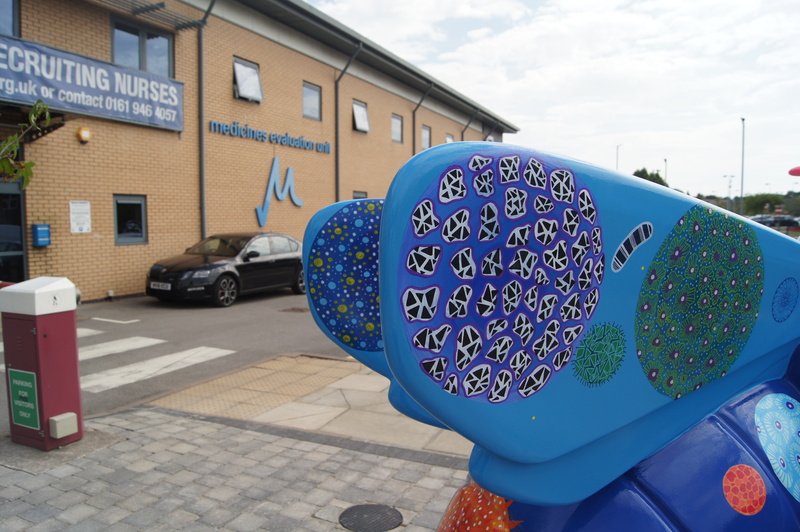 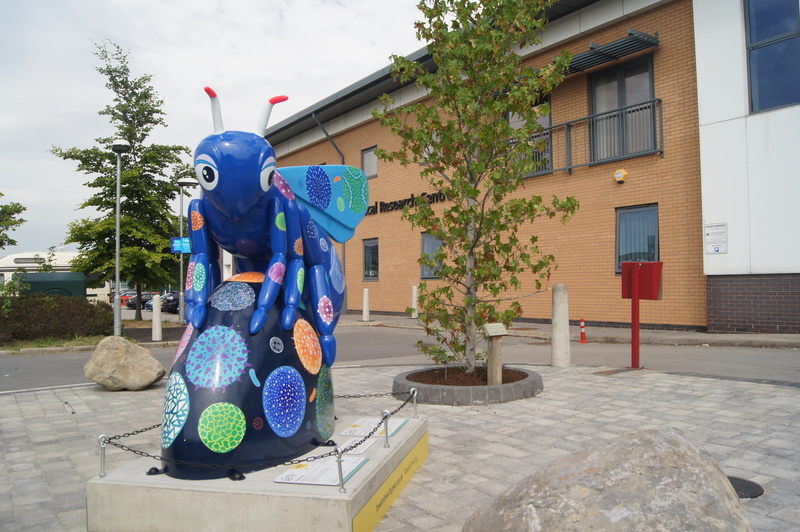 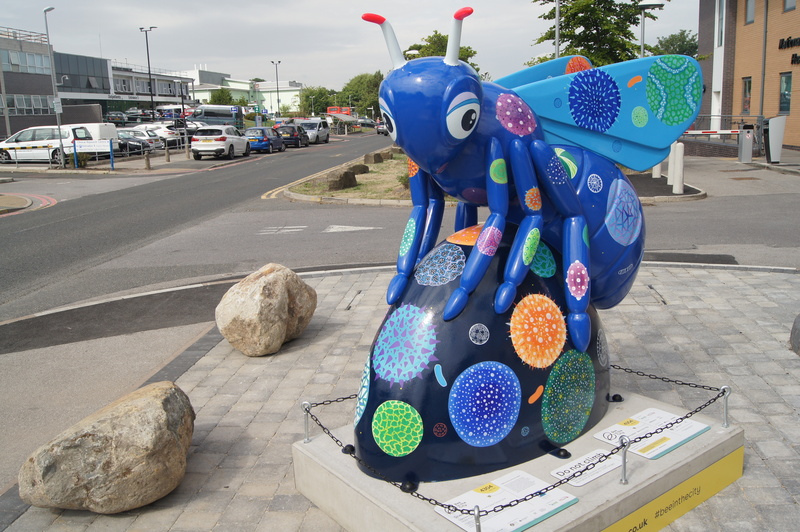 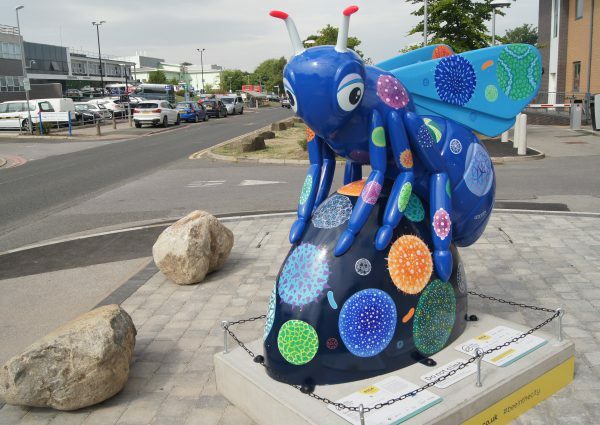 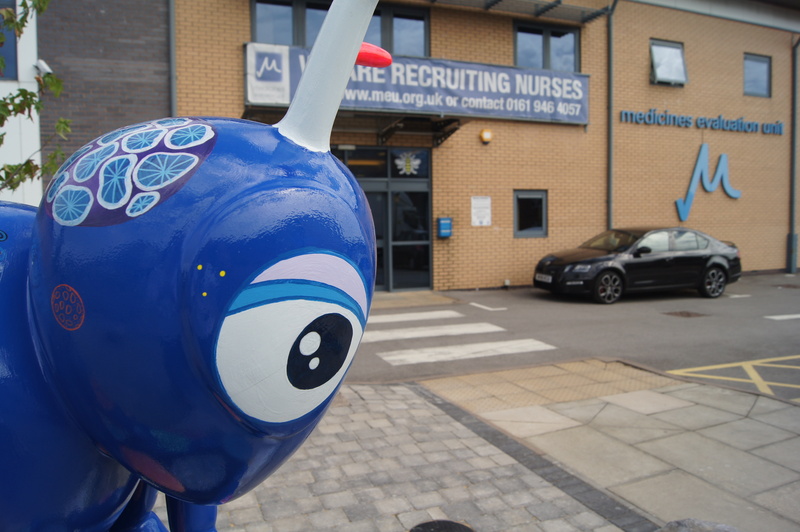 We have named our Bee “Sneezebee” and the design was painted by Lizzie Rose Chapman and Michelle Turton. 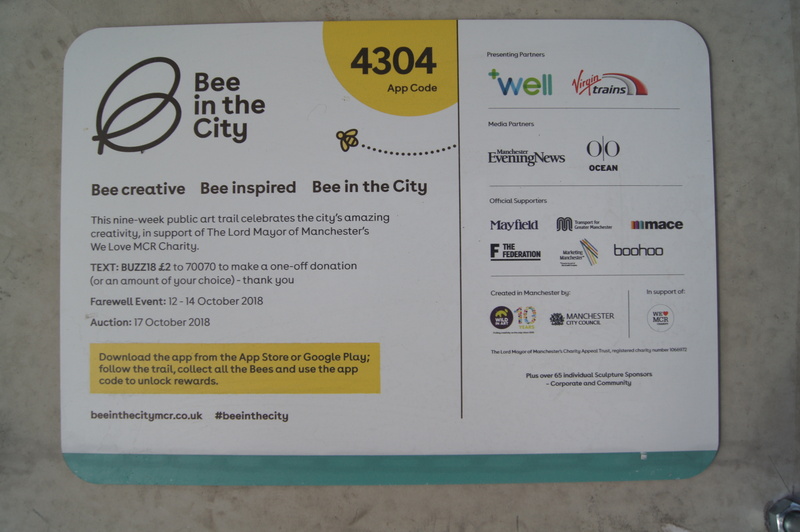 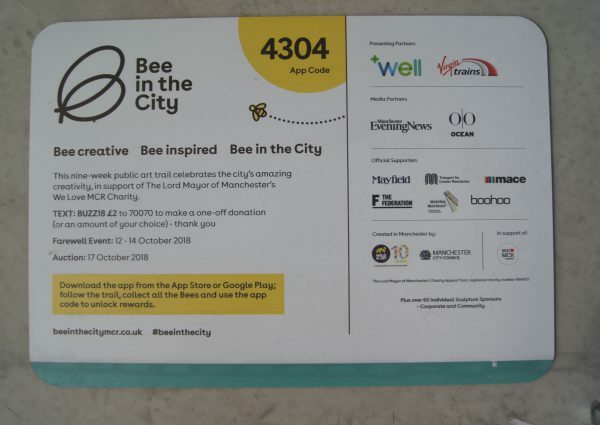 When the trail begins on 23rd July, Manchester residents and visitors will be able to explore the trail using a ‘Bee in the City’ app which will help them navigate around the city, discover new places and follow a map of the bees, receiving ‘rewards’ and prizes as they go along! 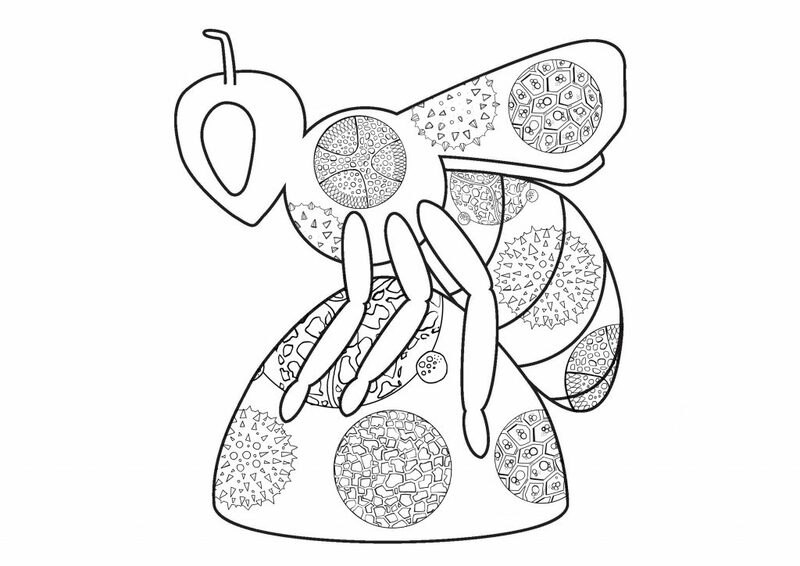 We will be offering locally-produced pots of honey to the first 100 visitors to unlock our ‘reward’ and free colouring-in pollen sheets are available to be downloaded & printed off on our website – collect your free colouring pencils at our reception to start decorating your own pollen grains and share with us on Facebook, Twitter and Instagram page. 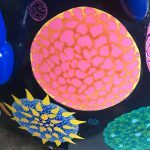 Please follow us on there, as well as ! 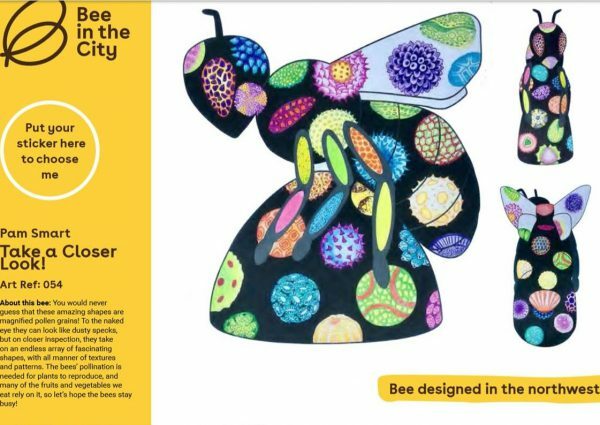 with the hashtag #sneezebee. 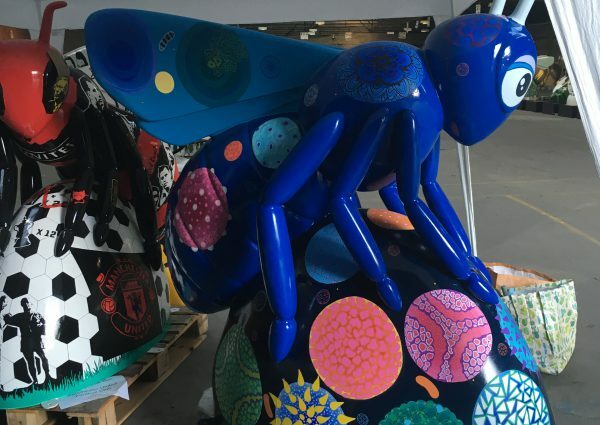 At the end of the trail on 23rd September, the majority of Bees will be auctioned off to raise significant funds for The Lord Mayor of Manchester’s We Love MCR Charity to improve the lives of Manchester residents and help them reach their full potential. 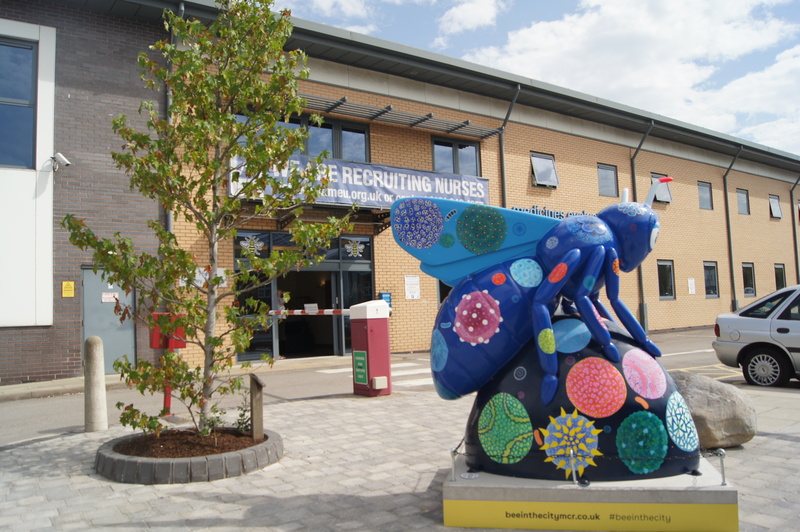 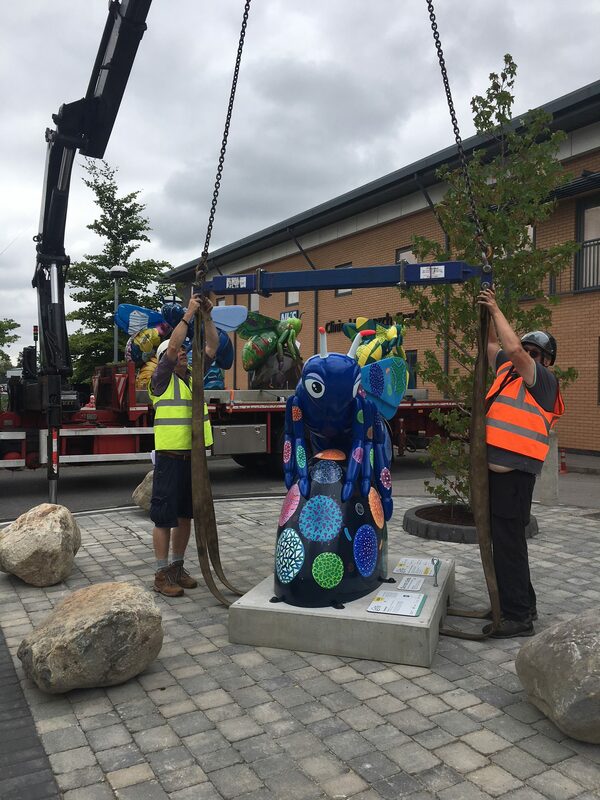 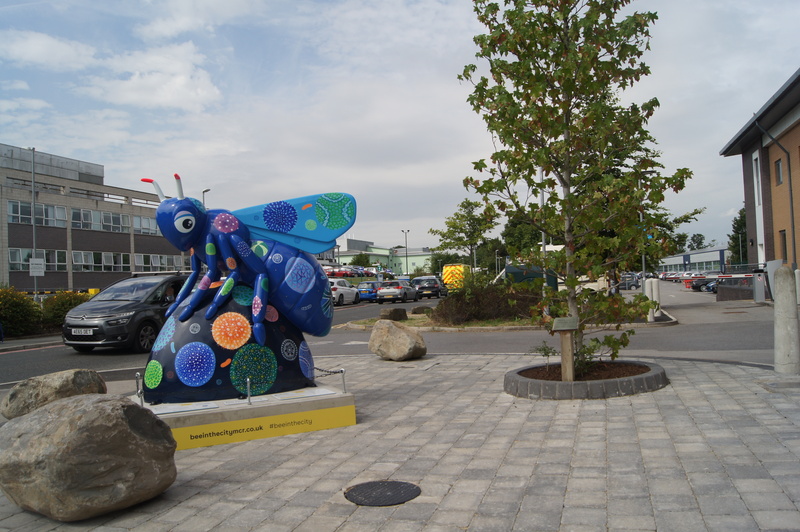 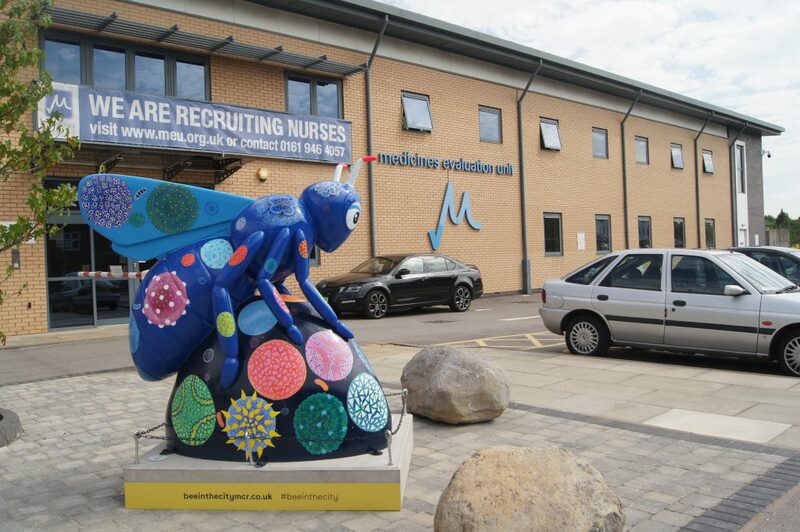 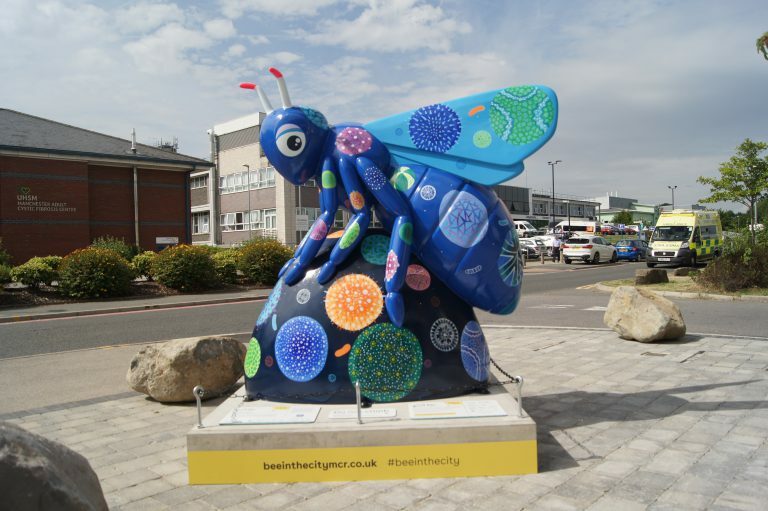 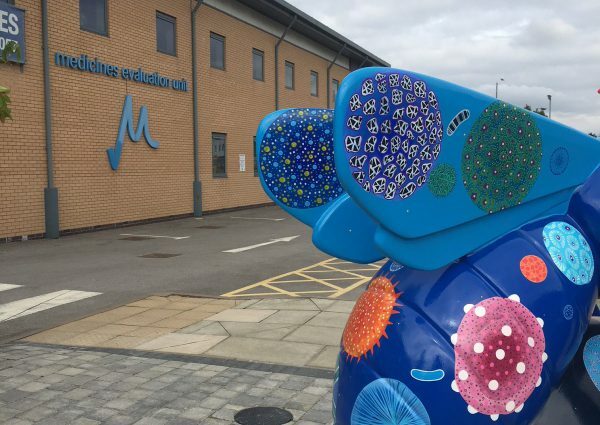 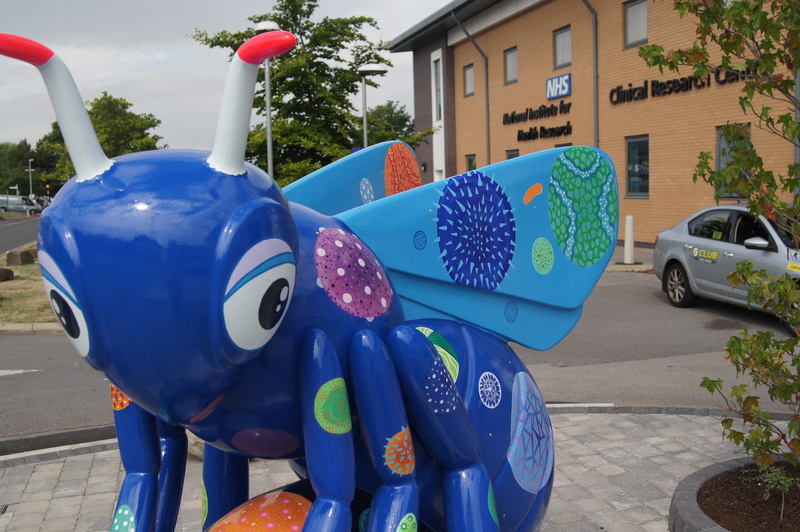 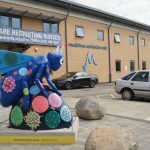 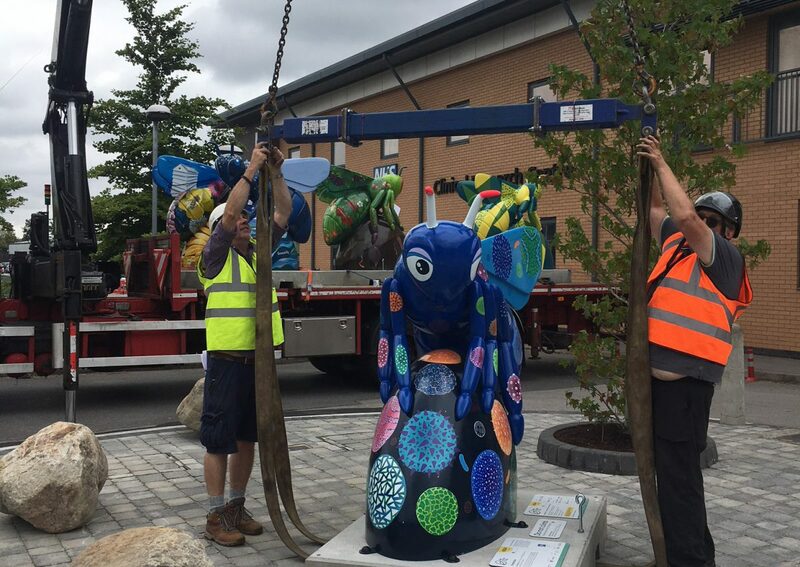 However, as our Bee is part of the community programme, the sculpture will remain out of the auction and will be kept at the MEU as a legacy, remaining a landmark for visitors, volunteers and patients. 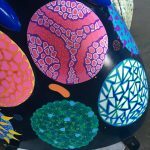 You can see the design’s progress on our recently- launched Instagram page. 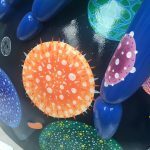 Please follow us on there, as well as on Facebook and Twitter! 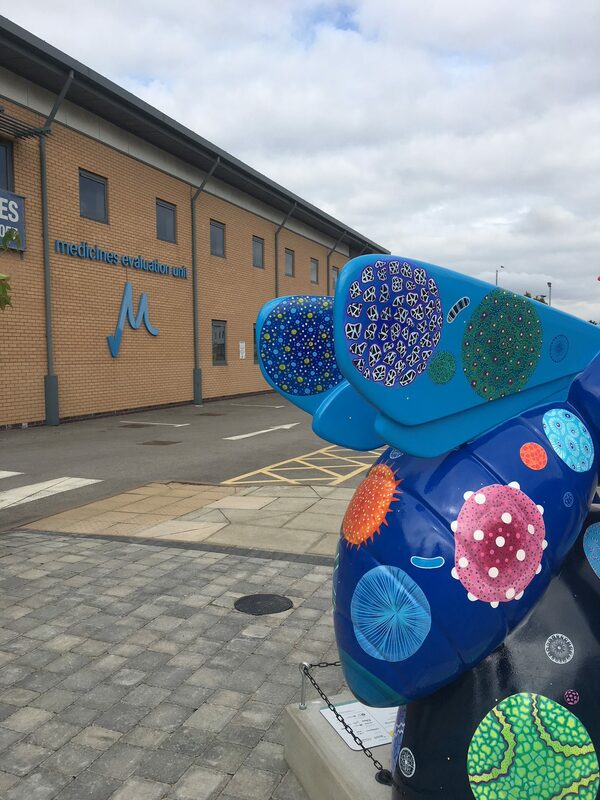 Based at Wythenshawe Hospital, Manchester and founded in 1994, the Medicines Evaluation Unit is one of the UK’s leading specialist clinical research facilities. 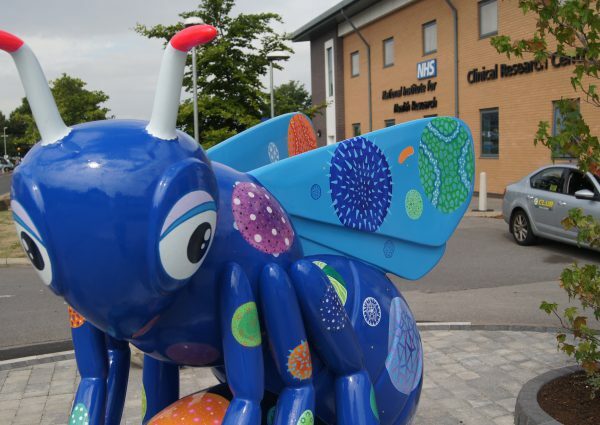 It has over 20 years’ experience in undertaking clinical trials to aid the development of ground-breaking medicines for patients and future generations. 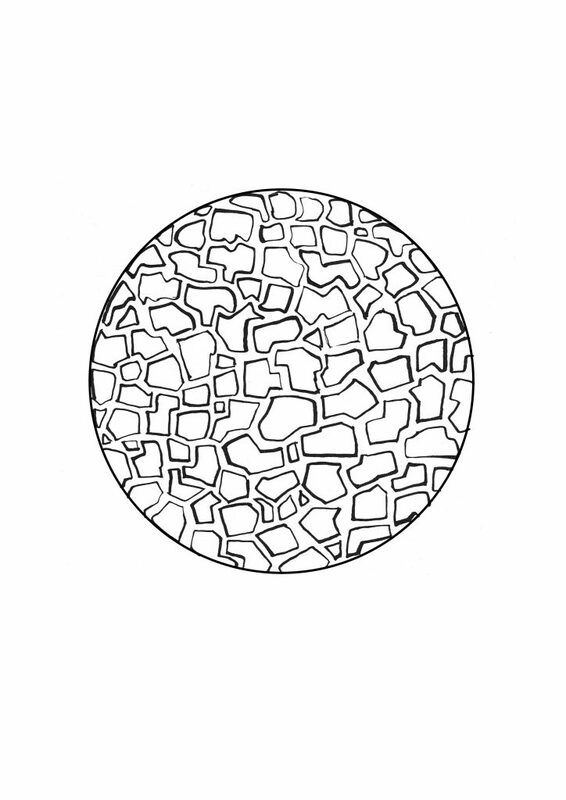 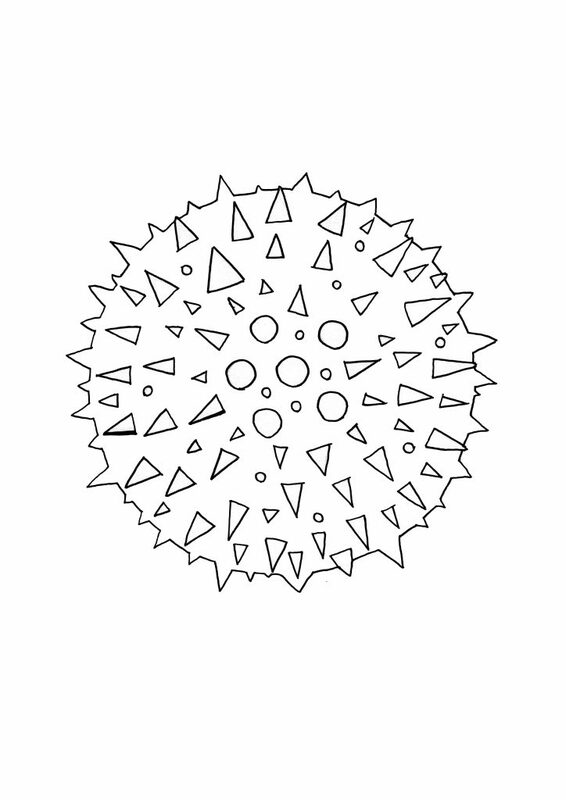 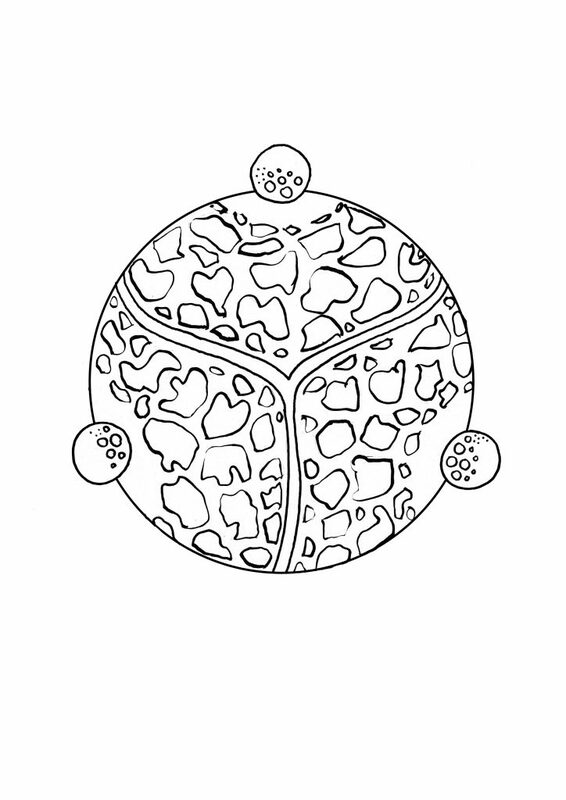 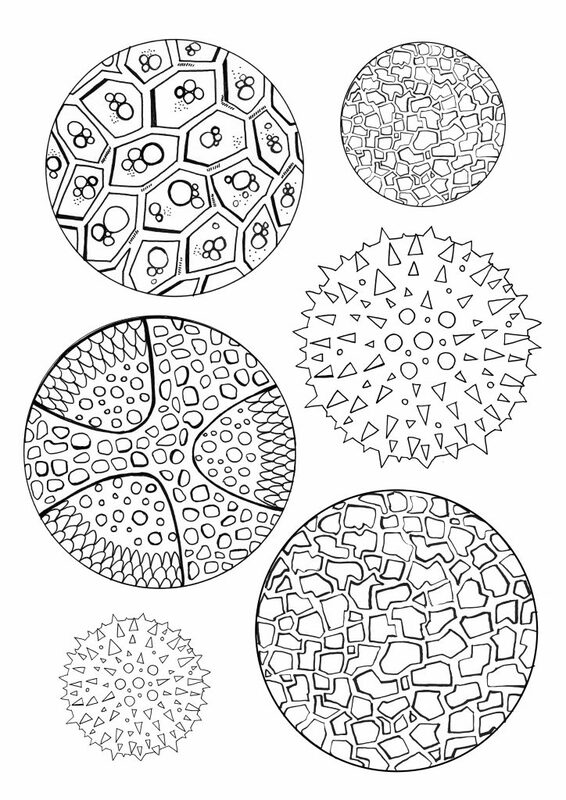 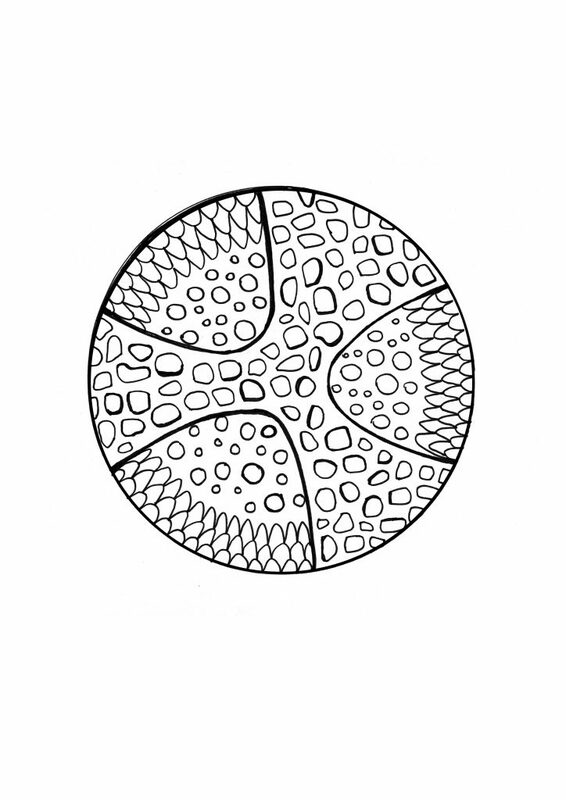 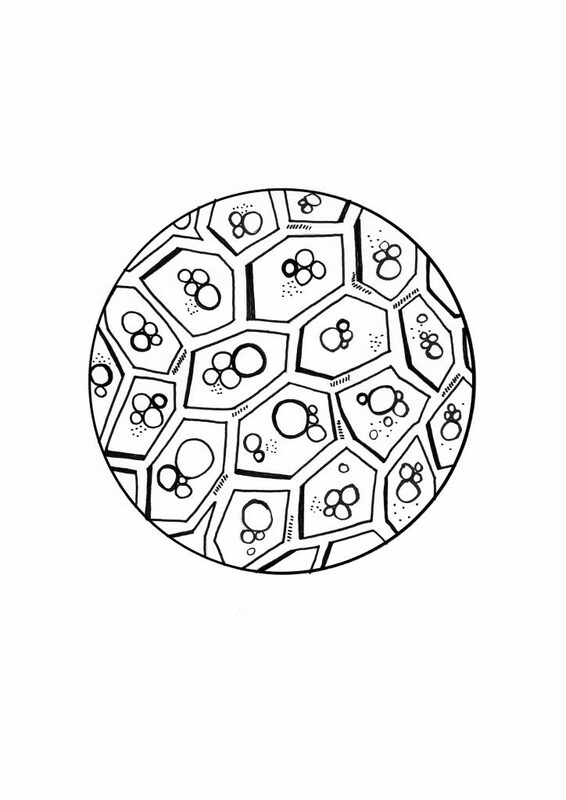 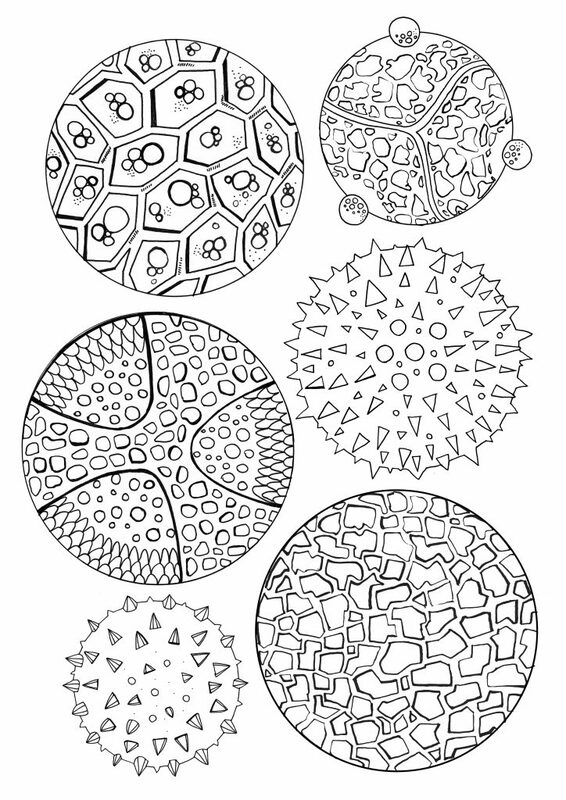 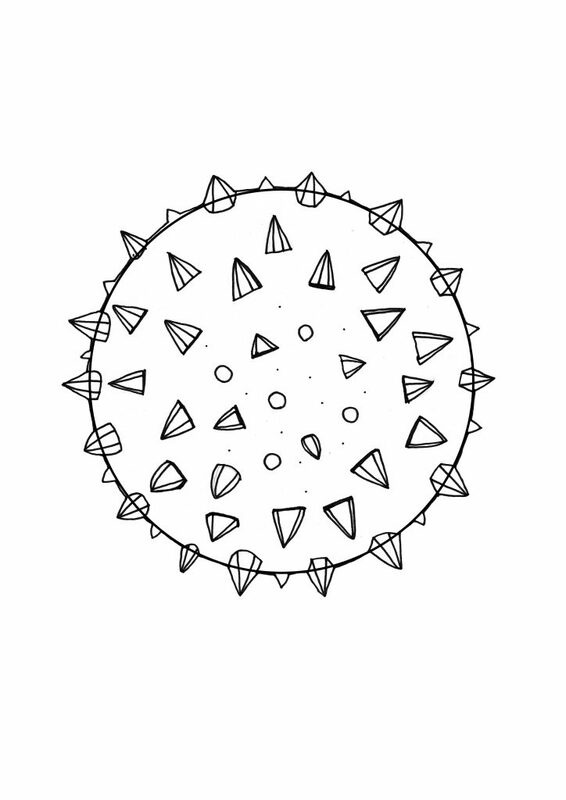 Download some colouring activity packs and collect your free colouring pencils at our reception to start decorating your own pollen grains.